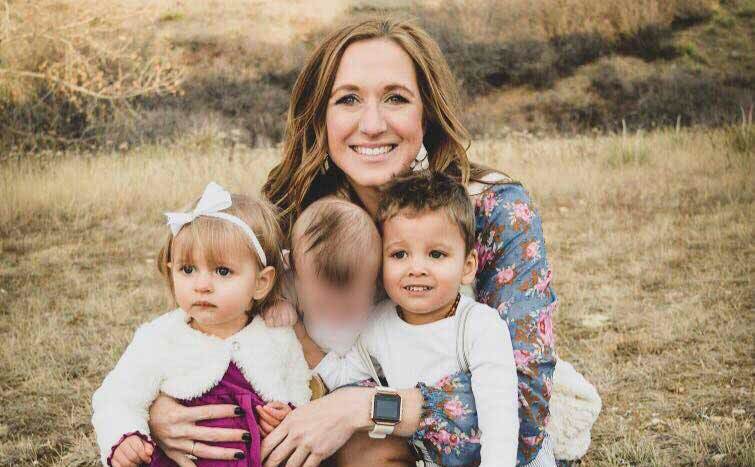 A foster and adoptive mother in Parker, Colorado, received an amazing surprise when she discovered that the foster baby in her care is the biological sister of her adopted son. Katie Page had always wanted to be a mother. But after years of dealing with infertility and then a divorce, it didn’t seem like it was ever going to happen. In 2016, she decided to become a foster mother, and the miracles began to appear in her life. After taking in and letting go of four foster children, a baby boy in need of a home came into Page’s life. He had been abandoned at the hospital, and all she knew of his mother was her unique first name, and that baby boy Grayson had been exposed to methamphetamines in the womb. In May of 2017, Page officially adopted Grayson. Just a month later, she was contacted about a newborn baby girl named Hannah, who was in need of a home. Page agreed to take the girl in, and soon after bringing her home, she noticed that Hannah’s birth mother had the same memorable first name as Grayson’s birth mother. Hannah had also been exposed to methamphetamines. “[The caseworkers] told me her story, which was really similar to Grayson’s,” Page said. The truth would be difficult to uncover, because Grayson’s birth mother had lied about her last name and her son’s date of birth when she left him at the hospital. Colorado’s Safe Haven Law allows a parent to hand over an infant up to 72 hours old to an employee of any fire station or hospital with no questions asked. The parent will not face charges as long as the child is unharmed. Grayson was safe, but not much was known about him. In December 2018, Page officially adopted Hannah, who is now one year old. She ran a DNA test, which confirmed that they are, in fact, biological siblings, and Page was overjoyed. Now she has learned that the same birth mother has had another baby, and Page is hoping to adopt that child as well. Page’s story shows us all that God has plans for our life that we could never dream up for ourselves.